The Essteele Per Forza 24cm/ 2L Deep Covered Skillet combines modern European style with precision Italian engineering to create pieces with outstanding non-stick performance. 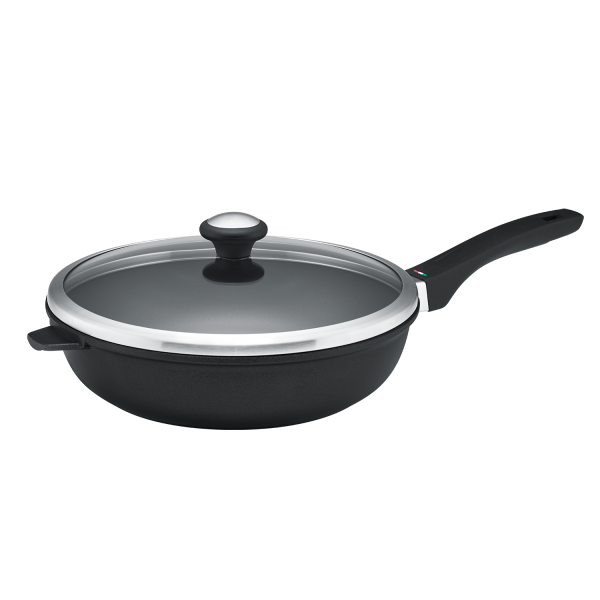 The cast aluminium construction of this skillet offers fast, even heating performance and exceptional durability for everyday cooking. Designed to exacting standards in Italy, this generously deep skillet comes with a tempered glass lid that allows you to see your food without losing the delicious flavour. Perfect for frying and so much more, this piece was created for a lifetime of delicious results.